Abbreviation for leukocyte adhesion deficiency. 1 abbreviation for left anterior descending. 2 abbreviation for leukocyte adhesion deficiency. A gene on chromosome 21q22.3 that encodes an integrin beta chain family protein (integrins are noncovalently associated transmembrane glycoprotein receptors, composed one of 18 different alpha and one of 8 different beta chains). The beta chain encoded by ITGB2 can combine with multiple alpha partners to give rise to different integrins—e.g., with the alpha L chain to form the integrin LFA-1, or with the alpha M chain to form the integrin Mac-1. Integrins participate in cell adhesion as well as cell surface-mediated signalling. ITGB2 mutations cause leukocyte adhesion deficiency type I. Less than the normal amount; a lack. An inherited hypercoagulable state. 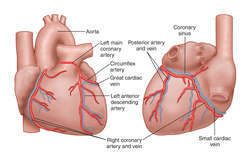 It is due to absent or deficient levels of antithrombin III in the blood. An autosomal recessive disease in which affected children fail to metabolize biotin effectively. Seizures, encephalopathy, neurodevelopmental delay, spasticity or diminished muscle tone, paresis, visual disturbances, deafness, skin rash, and hair loss commonly occur. Immediate ongoing treatment with supplemental biotin can effectively suppress the symptoms of this disease. Type IV glycogen storage disease. The clinical consequences of inadequate consumption or absorption of dietary copper. Its hallmarks include an unsteady gait, neuropathy, muscle spasticity, and, occasionally, anemia. It may occur as a consequence of gastric bypass surgery or long-term parenteral nutrition. A deficiency of iron significant enough to affect the development of healthy red blood cells. It may precede the appearance of measurable anemia. Functional iron deficiency may be defined by the presence of hypochromatic red cells; by an increase in hemoglobin production after test doses of administered iron; or, most accurately, by the measurement of the mean hemoglobin content of reticulocytes. It is common in patients receiving hemodialysis and in critically ill persons. Treatments include iron and folate supplements and epoetin alpha (Procrit) to increase red blood cell production. In emergencies, infusion of fresh frozen packed cells or washed packed cells provide temporary relief. 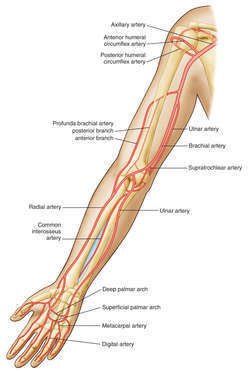 An X-linked disorder affecting the red blood cells. It is present in the U.S. in about 13% of black males and 2% of black females. The deficiency also occurs in Arab, Mediterranean, and Asian populations. The enzyme is essential to maintaining the integrity of erythrocytes; thus a deficiency of it causes nonimmune hemolytic anemia. 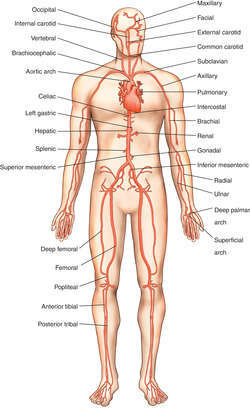 There are many variants of the enzyme and great variation in severity of the disease. Some people do not have clinical symptoms until they are exposed to certain drugs (such as antimalarials, antipyretics, sulfonamides) or to fava beans, or when they contract an infectious disease. In others the condition is present at birth. When present at birth, anemia, hepatomegaly, hypoglycemia, and interference with growth are present. In those who have the deficiency but are not affected until exposed to certain drugs or infections, hemolytic anemia and jaundice occur. Laboratory tests for evidence of the enzyme deficiency are available. The only treatment is avoidance of drugs known to cause hemolysis and avoidance of fava beans if the person is known to be sensitive to them. 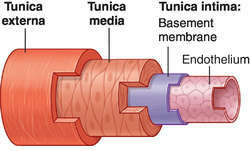 Weakening of the urethral sphincter muscles, a frequent cause of stress urinary incontinence. A rare autosomal recessive disorder in which white blood cells are unable to migrate out of blood vessels in response to infection. It often presents in early childhood with severe periodontal disease, premature loss of teeth, and recurrent infections. An inherited disorder of faulty nutrient oxidation in which affected infants are unable to metabolize fatty acids when their stores of blood glucose are low, e.g., between meals. The disease is common, occurring in 1 in 10,000 infants, and often fatal in infancy. Surviving infants may suffer brain damage from inadequate nutrition to the central nervous system during fasts. The most common urea cycle enzyme deficiency disorder inherited as an autosomal recessive trait, characterized by the absence of ornithine transcarbamylase (an enzyme in the urea cycle), which results in the excessive buildup of ammonia in the bloodstream. The disease is typically diagnosed in infancy and occurs in less than 1 in 8000 births. A glycogen storage disease caused by a deficiency of muscle phosphofructokinase and characterized by muscular weakness, and muscle cramps after exercise, hemolysis, hyperuricemia, and myoglobinuria. Zeta-chain associated protein kinase deficiency. A severe combined immunodeficiency disease in which CD8+ T cells are missing from the circulation and the thymus develops abnormally. 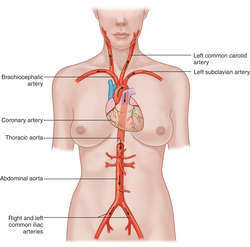 One of the heart's coronary artery branches from the left main coronary artery which supplies blood to the left ventricle. Meanwhile Geoffrey repeated his final orders to the lad, at the cottage gate. Aye, lad, th' old tale; but I shall get it done," said Adam, looking up and casting one of his bright keen glances at his brother. When people asked Adam whose little lad he was, he had a sense of distinction as he answered, "I'm Thias Bede's lad. Now, lad," said Adam, as Seth made his appearance, "the coffin's done, and we can take it over to Brox'on, and be back again before half after six. The lad listened sulkily to her and made no answer. Why, you don't even know his name," answered the lad. So Rose sat in state enjoying herself very much, for the lads proceeded to dance a Highland Fling with a spirit and skill that made her clap her hands and laugh as she had not done for weeks. None of them were especially comely but the Prince, yet all were hearty, happy-looking lads, and Rose decided that boys were not as dreadful as she had expected to find them. Yet the king hath given me a living here in the southlands, and please God these two lads of mine will pay off a debt that hath been owing over long.